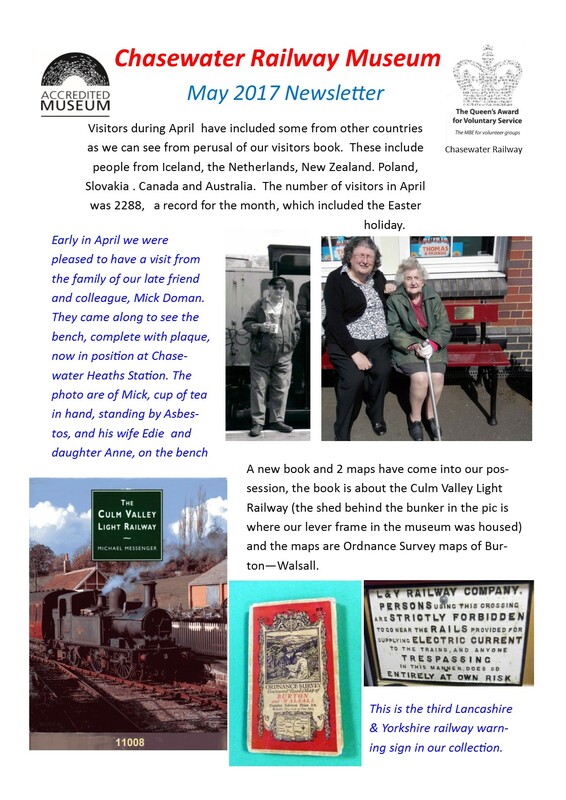 The latest newsletter from Chasewater Railway Museum, showing excellent visitor numbers for April. This entry was posted in News and tagged Aldridge, Bloxwich, Burntwood, Cannock Wood, Chasewater Railway Museum, Cheslyn Hay, Great Wyrley, Hazel Slade, Heath Hayes, Hednesford, May Newsletter, Norton Canes, Old Railway Lines, Pelsall, Steam Trains, Walsall, Walsall Wood. Bookmark the permalink.